Jennifer Seiler Avallone is a Louisiana native from Mandeville, Louisiana. She graduated from the E.J. Ourso college of Business of Louisiana State University in 2009 with a Bachelor of Science in Accounting. While attending LSU, she was an active member of Delta Sigma Pi- Professional Business Fraternity. In 2008 Ms. Avallone completed a semester abroad at the University of Strathclyde in Glasgow, Scotland where she concentrated in Marketing. Ms. Avallone obtained her Juris Doctorate from Loyola University College of Law in 2013. 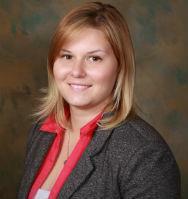 Ms. Avallone is admitted to all state courts in the State of Louisiana as well as U.S. District Court Eastern District. Since graduating, Ms. Avallone has gained significant experience handling cases in the Greater New Orleans area. In addition to her law license, Ms. Avallone is a Louisiana Licensed Private Investigator with extensive experience in asset recovery and risk management services. Ms. Avallone is involved in her community as an active member of the Alliance for Good Government- St. Tammany Chapter. Our law office is conveniently located at the corner of Causeway and Bore in Metairie. The Law Office of Bruce C. Betzer represents clients in Metairie, New Orleans, Kenner and Covington, Louisiana.